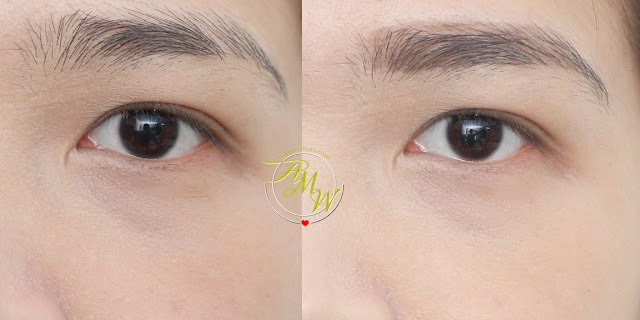 I have the Eye Of Horus Brow Define eyebrow pencil for quite a while now, I have been testing and using so many types of brow products I can't believe I didn't write about this yet. Well, today is the day I'm sharing how this is actually a nice brow pencil choice when you're in a hurry! Aside from Dynasty (medium brown), which is the medium shade, it also comes in Husk (Ash Blonde) and Nile (Dark Brown). All in a shade of natural-looking brown minus the red tint! So I call this a perfect brow color. Pencil comes with a spoolie. Slim pencil which is easy to create hair-like strokes. Retractable, so no sharpening needed. Easy-to-remove with regular makeup remover. The pencil finishes up easily. 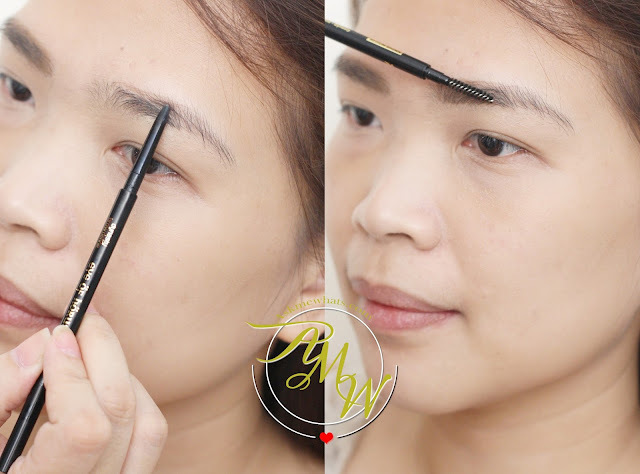 Easy-to-use twist up pencil with smooth formulation with a "pencil size" easy to apply. The color Dynasty is a great shade for girls with medium to medium-light colored hair. The effect isn't harsh and the best part? This pencil is long-lasting. Always close the cap carefully as for the pencil not to dry up. Always brush your brow hairs with a spoolie before you start drawing your brows. Always apply with light hand strokes to prevent the overly drawn brows look. Purchase now as they are currently on sale at Php665.00! Brow pencil lovers! All of you can go for this if you are willing to invest on natural-looking brows. Gently draw and achieve fuller-looking brows and brush off excess pigment with the spoolie on the opposite side of the pencil. Have you tried Eye of Horus Brow Define Pencils? Whoa why that is why my favorite creamy eyeliner tugs so much...it is because I lost the cap. 9arghh clumsy me lol!) Thanks for the tip, I really overlook this I thought I got a bad batch lol! no problem! Now you know! My MIL will go crazy over this. she's a brow lady. Maybe I should get this for her to try.